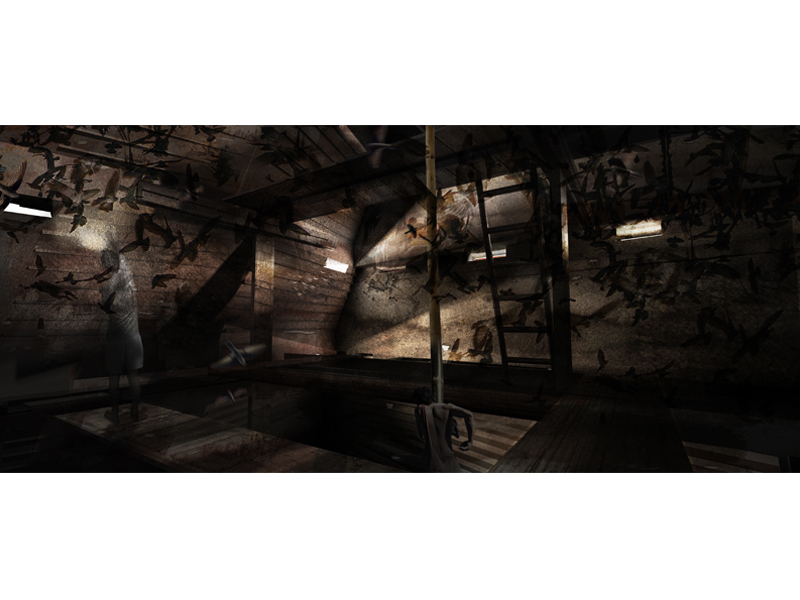 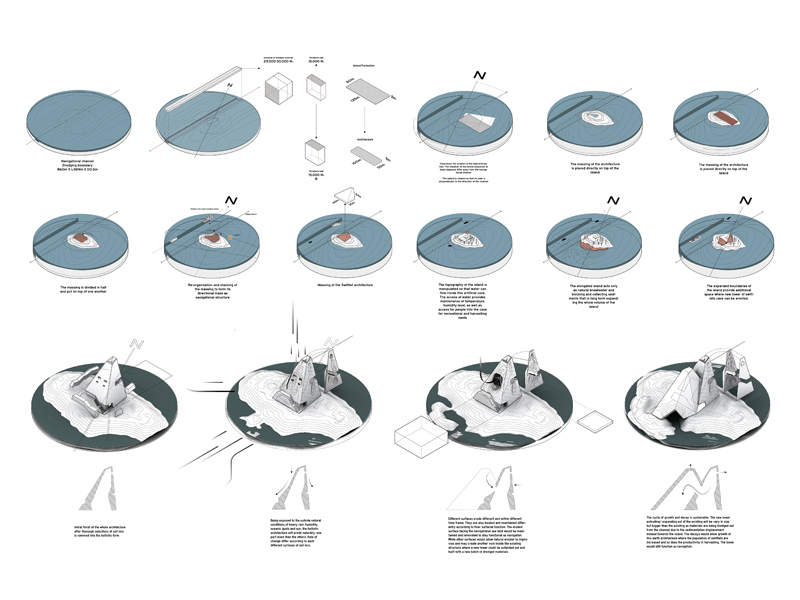 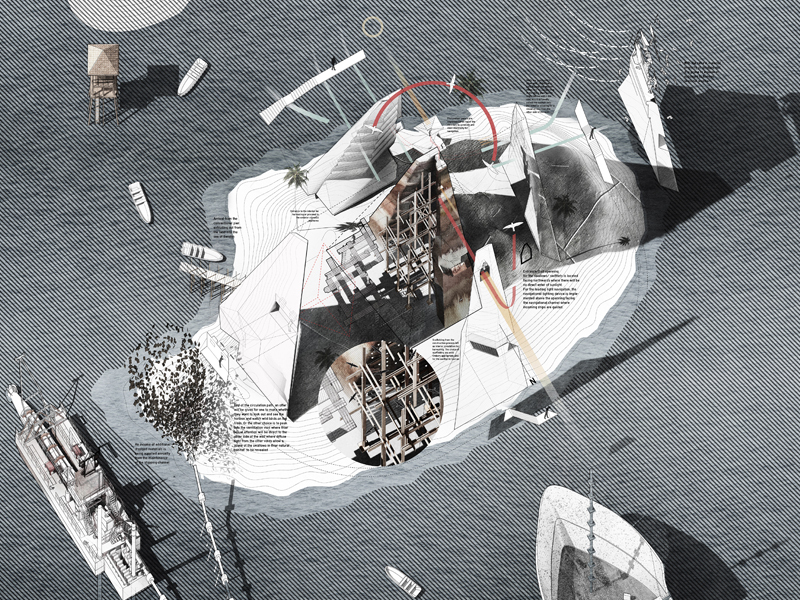 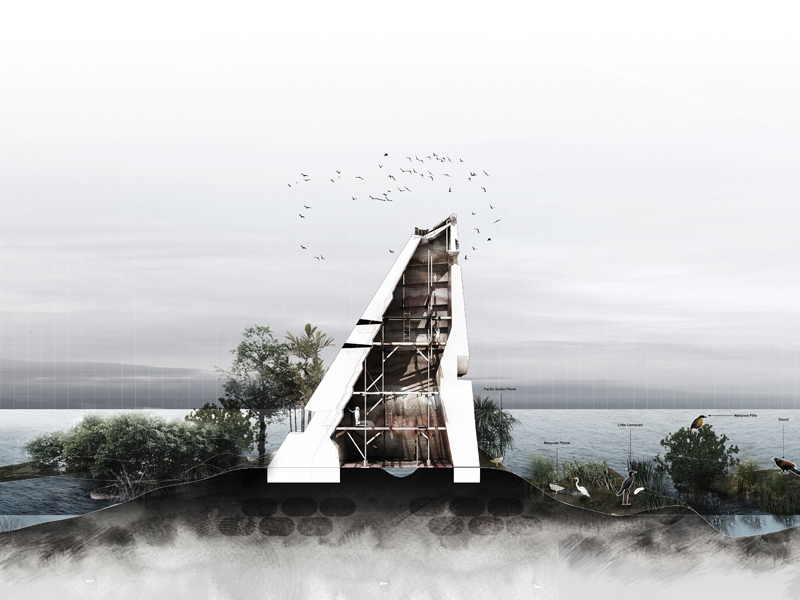 Short Project Description: The concept of the project revolves around the speculation of harvesting from the two degrees of decay within the Bandon Bay area. 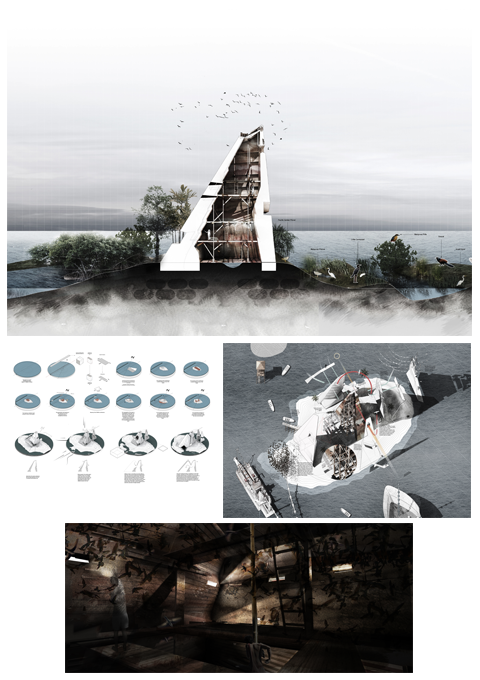 The proposal suggests to bring the provincial industry of artificial swallow-farming back into the ocean, through the innovative reuse of the dredged materials excavated from the city’s main shipping channel. 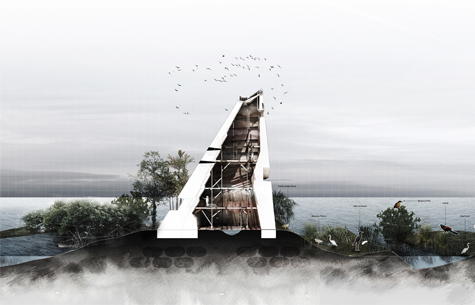 The two local industries are combined, through one earthly operation, to create a series of architectural interventions that provide the programs of navigation, organic edible-nest swallow farming and recreations.